The following is a brief summary of the various topics covered by all of our Full Defensive Driver Training Courses (classroom theory portion). This section covers many common misconceptions regarding everyday traffic situations and driving in general. 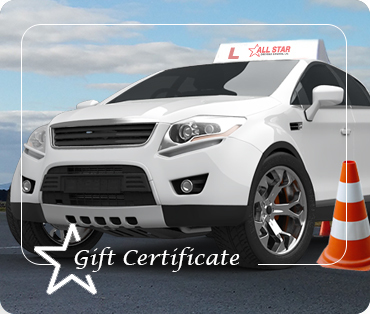 After completing this introductory section, students should know all pertinent information regarding acquiring a learner’s licensce, as well as the basic framework for the Smith System of Defensive Driving. An explanation of shapes and colors of road signs along with a discussion of each particular sign and a short video presentation to familiarize students with the different sign catagories. Also discussed are the consequences of failing to obey specific road signs. A discussion about seat-belts, child seats, airbags and other safety features which, when used consistently save lives. The Smith System is the industry standard in defensive driver training systems. It consists of the “Five Keys to Space Cushion Driving.” This program covers improving driver perception to create safer drivers, keeping space around your vehicle (no more ‘traffic roulette’,) what good driving practices are, creating good seeing habits and improving driver visibility. Students learn to identify hazards and discuss ways to manage them so that they are no longer hazards to them on the road. Discussed are merging and merge lanes, rights of way, uncontrolled intersections, pedestrian hazards, buses, parking, signalling, traffic congestion, traffic tempo, one-way streets and traffic patterns. Additionally, many other dangers of city driving are investigated and discussed by the students. In the interests of environmental awareness, a discussion regarding methods of driving economically and areas in which students can improve their efficiency as it relates to their tires, brakes, fuel and wearable moving parts. The effects of drinking and drugs on a driver’s abilities, reaction times and decision-making abilities and the responsibilities of drivers as road-users. Included is a frank, open discussion and videos about these serious topics. Also discovered are the ways that things like stress, anger and fatigue can impair driving ability. Lecture and Discussion on collision avoidance techniques and the skills necessary to avoid putting yourself into a position where you are in danger of a collision. Students learn to be Pro-active in their driving and to practice the See-Think- Do methods which keep them out of trouble in the first place. Students discover how their attitudes towards driving develop through outside influences such as peer pressure, advertising, etc and discuss ways to have a better driving attitude. Weather, road conditions, night driving and other situations are discussed and students learn ways to drive more safely and effectively in them. We also discuss ways to deal with emergency situations as they occur during driving. Methods for safe entry and exit onto freeways and highways are discussed. The use of HOV lanes are covered in this segment. Being prepared and feeling confident for the government road-test. We cover all of the requirements to being successful the first time. This is only a brief overview of a few of the life-saving concepts that we teach in our Defensive Driver Training programs.